25% of Israelis prefer Netanyahu remain as PM, while 15% favor Yair Lapid. Zionist Union leader in distant seventh place. Despite recent polls showing Yair Lapid’s Yesh Atid party leading the Likud, voters still prefer incumbent Prime Minister Binymain Netanyahu over the former journalist and son of the late Justice Minister, Tommy Lapid. 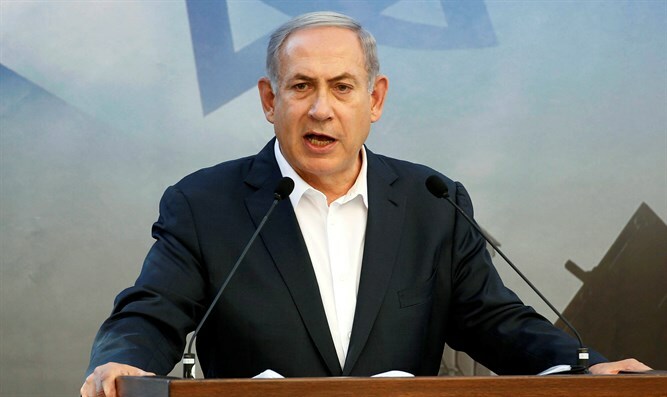 According to a Geocartography poll published by Channel 20, a plurality of Israelis believe Netanyahu is the most qualified to lead the country as Prime Minister. Nearly a quarter (24.4%) of Israeli Jews said Netanyahu was most fit for the role, with Lapid in a second with 14.7%. Defense Minister Avigdor Liberman (Yisrael Beytenu) came in a distant third with 5.8%, while Education Minister Naftali Bennett was close behind Liberman with 5.6%. Zionist Union MK and former Kadima chairwoman Tzippi Livni rounded out the top five with 4.9%. Former Defense Minister Moshe Yaalon, who has signaled his intention to return to politics after leaving the Likud earlier this year, received less support than his successor, Liberman, with just 4.1% saying he was most qualified for the premiership. Zionist Union chief and Opposition Leader Isaac Herzog came in seventh with just 3.2%, slightly ahead of former Prime Minister Ehud Barak with 2.3%. Internal Security Minister Gilad Erdan (Likud) came in ninth with 2.0%, followed by Health Minister Yaakov Litzman (United Torah Judaism) with 1.9%, Finance Minister Moshe Kahlon (Kulanu) with 1.8%, and Interior Minister Aryeh Deri (Shas) with 1.1%. The Geocartography survey polled 500 Jewish Israeli respondents ages 18 and older from a representative sample across the country.